From Goodreads.com: Before the war, Belle Ainsworth led a life of pleasure and privilege in the deep South. Five years after losing her fiancé at the Battle of Gettysburg, she is still alone, with no prospects for marriage among the remaining men of her acquaintance. But out west, there are possibilities. 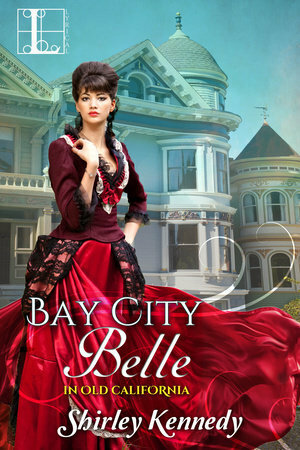 And when Belle answers an ad for a mail-order bride and boards a train to San Francisco to meet wealthy restaurateur Robert Romano, it's with the hope of at last making her dreams of family come true. This was my first time reading a book in this series, so I can vouch that it can be read as a stand alone. I can also say that this is not the only book I will be reading by this author as I loved Yancy and Belle's story!! Belle was definitely a bit too stubborn in some instances, however I think given her past, it was completely understandable. You could definitely feel the chemistry between her and Yancy, but one thing that I found commendable about this novel is the fact that the author managed to convey the depth of the feeling without it coming across as being "shoved" down our throats. It felt natural - much like the relationship between Yancy and his niece and nephew did. I would definitely recommend this story to those who enjoy well written historical novels with interesting characters, and different story-lines that intersect to make for a realistic and enjoyable experience. I would read more from this author.